Sucessfull African Businesman and entrepeneurs. In 1989, Dr. Mo Ibrahim founded Mobile Systems International (MSI), a technology consultancy and software business. The company was sold in 2000 for $900million. 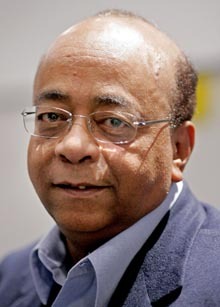 Dr. Mo Ibrahim founded Celtel in 1998 to build and operate mobile networks in Africa. 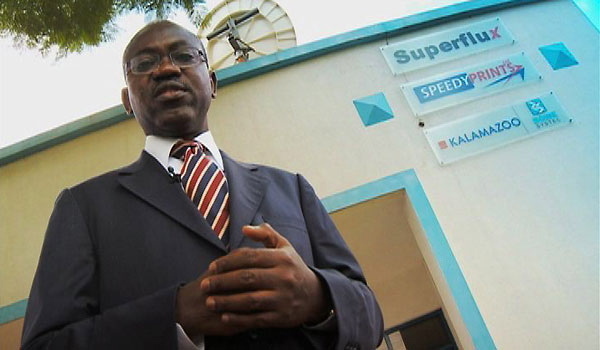 Celtel became one of Africa's most successful companies with operations in 16 countries. The company was sold to MTC Kuwait in 2005 for $3.4billion. In 2004, the Mo Ibrahim Foundation is an African initiative to recognize achievement in African leadership and stimulate debate on good governance across sub-Saharan Africa and the world. Each successful candidate will receive $5 million, spread over 10 years, after leaving office. Once the money runs out, prize winners will receive another $200,000 annually until they die. "The prize is not intended for the thief or the corrupt, it is for those that serve their people," Salim told the Associated Press. Last year hi didn't give money to any african leader who stepped out the power, because these leader didn't do go for the people and some of them even tried to hang on the power. 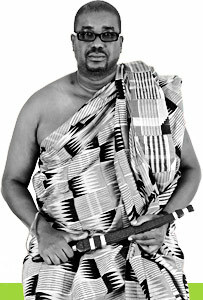 The founder of the SOFTtribe, the largest software company in Ghana and possibly West Africa. Fifteen years ago Herman decided to abandon his comfortable life in the United Kingdom to prove to sceptical friends what he had always maintained that his native Ghana was a land of opportunity waiting for entrepreneurs with innovative business ideas. Herman believes: "Technology is the only way for Africa to get rich. We don't have proper infrastructure and we can't compete in manufacturing. But if you put me behind a PC and tell me to write software for a Chinese customer, then I can compete brain for brain with anyone trying to do the same thing in the US." With no start-up capital and little in the form of personal savings, no infrastructure, and no equipment other than his old personal computer, Herman had to rely on the only resources available to him: his determination and creative talent for writing software programs. The company now employs around 70 people and has a client base of more than 250 organisations, including major multinationals such as the Ford Foundation, Nestlé, and Unilever; it is also a Microsoft development partner in the region. Oswald Boateng is a UK based master tailor and designer, born in Ghana but grew up in North London. Boateng began tailoring at the age of 16. He set up a design studio on London'S Portobello Road at age 23, and his reputation as a British tailor grew. 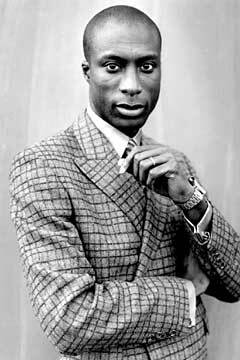 At the age of 30 he was the youngest tailor and first black designer to open a shop in the Savile Row area. Arguably the most brilliant career move Boateng has made is that he never plays the race card. But race is central to everything he does. If young black kids see that he can open a shop on Savile Row they know that anything is possible, he says. In 1994, he made history as a tailor-turned-designer showing his first line at the International Menswear Collections in Paris. His long-term dream of merging his head quarters and his flag ship store with a prominent Savile Row Store site, was finally realised, heralding the commencement of a period of major expansion for his eponymous brand. New stand-alone stores, in London, Moscow and Dubai, the US and the Middle East are planned in the next 3 years. Ozwald is also keen to develop an Interiors line. Using his business acumen and passion for Africa, he set up the Made in Africa Trust in 2006 to help promote self-sufficiency and new businesses in countries across the continent. "This is what I love, designing clothes and creating, that is just me. The whole mission for Africa is out of frustration and need. It is just not moving enough. I'm frustrated getting off a plane. I don't want to see open drains (on streets), I don't want to see a road that takes 10 years to build, I want to be able to go there (to Ghana and other parts of Africa) and open one of my stores." 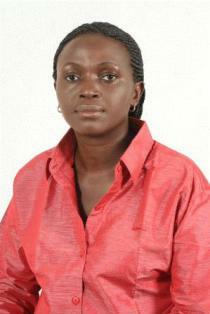 Ugandan founder and managing director Sapphira Nyabunwa entered the cleaning industry after working at the Uganda Commercial Bank. "I decided to go back to school and, of course, in an effort to [earn] my college tuition that's when I thought of starting a business," Nyabunwa writes. "What came to mind was a cleaning business because I had a passion for cleaning as a child. The rest is history." Nyabunwa has since traveled the world to attend business conferences and forums, and last year won a United Nations Conference on Trade and Development (UNCTAD) Women in Business Award. This Kampala company provides professional cleaning services for clients such as Uganda Telecom, Barclays bank, and oil company Total. Operating since 2000, Safi Cleaning Services performs janitorial services, lawn maintenance, fumigation and pest control, garbage collection and disposal, and dry cleaning and laundry. The company has 800 employees, purposefully drawn from at-risk groups such as people who dropped out of high school or who have HIV. Superflux's President, Tokunbo Talabi, left a career at Guaranty Trust Bank as head of administration and personnel to start the printing business. Writes Talabi: "Our objective is to empower our clients to operate securely and efficiently through the provision of high-integrity documents, while also returning value to shareholders and being socially responsible to the community." A printing services company, this Nigerian business got its start in 1998 by creating secure documents for local banks. Superflux quickly expanded and became a market leader in two years, with current revenues at $19 million. The company produces difficult-to-forge, paper-based documents like checks, tax receipts, tickets, and licenses for customers such as major financial institutions and government agencies. Based near Lagos, Superflux employs 300 and recently expanded into Ghana. It hopes eventually to enter other West and Central African countries, which face counterfeiting problems similar to Nigeria's. Strive Masiyiwa certainly has an eye for a good deal. The electrical engineer who founded the Econet Wireless Group has made his name and money on a knack for a smart move and a quick decision. He is probably best known as a kind of African David, a CEO who fought off the Goliath of government monopoly repression to take the mobile phone revolution to Zimbabwe in 1998. Since then he has expanded into or bid for telcos in Botswana, Nigeria, Kenya, Cameroon, Malawi, Burundi and Lesotho as well as taking on ventures in the UK and New Zealand. In 2002, he was crowned one of Time’s Global Influentials one of 15 selected in a global poll from a list of more than 100 - for his potential as well as achievements as an entrepreneur. 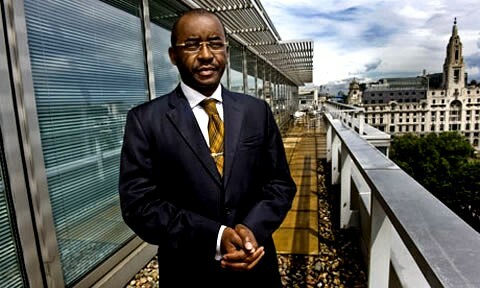 His privately held company, Econet Wireless, generates revenue of more than $300 million a year, making it one of Africa's five largest telecom companies. Econet's operation includes cellular and fixed-line businesses in Zimbabwe, Malta, Lesotho and Botswana. It owns the leading VSAT business in Morocco and an Internet video and audio streaming business servicing 60 radio stations in the United States and Africa. The company also owns a 3G license in Australia. In New Zealand Econet will soon launch that country's third GSM network; and Britain, where Masiyiwa is targeting the niche market of African expatriates.